Deep in the Costa Rican jungle, a fisherman named Chito discovered a crocodile that had been shot in the eye by a cattle farmer and left for dead. 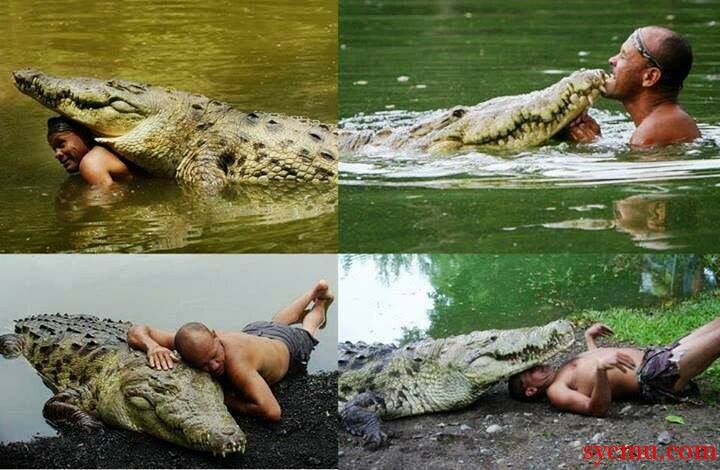 Chito was able to drag the massive reptile into his boat and brought him to his home, where he stayed by his side for months, nursing him back to health. The day finally came when Pocho was strong enough to go back into the wild. Chito took him to a lake near his house and released him, but the animal simply got back out of the water and followed him home. “Then I found out that when I called his name he would come over to me.” says Chito. The fisherman has been hesitant to tell his story, even though 20 years have passed since he first rescued Pocho.